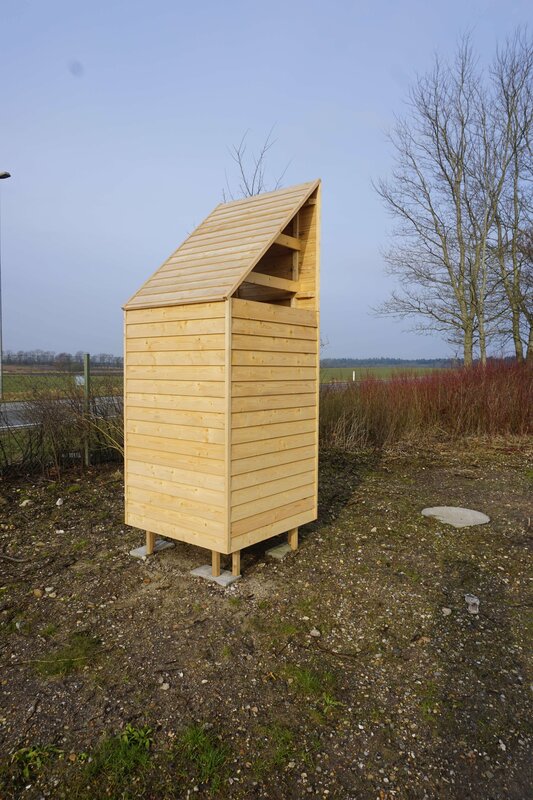 For the wood manufacturer Superwood A/S the participation in the project Rethink Business – Focused value chain cooperation founded by Region Midtjylland, has resulted in a clear plan for the company´s sustainable development and a wish to document its sustainability. Many of you have probably heard about Superwood A/S from TV commercials in Denmark and Norway, which advertise Superwood as the world´s best wooden board. Superwood A/S, located in Hampen, central Jutland (Denmark), was founded in 2000 based on the development of a patented impregnation technique for spruce tree. In 2002, the company received the EU Environmental Prize for its plant which, as the only one in the world, can impregnate spruce tree through a technology where supercritical carbon dioxide is used to dissolve and transport small amounts of impregnating agent (about 1 gram of biocide per board) into the tree. This means that Superwood´s wood is dry after impregnation, has a good quality, a durability which is approx. 6 times longer than impregnated wood and it is more environmentally-friendly than other alternatives in the wood cladding market. In spring 2018, the company has invested in a new processing line, through which the boards can be made up according to the customers’ wishes and produced in a fully automatic line, including eventually, wood painting. 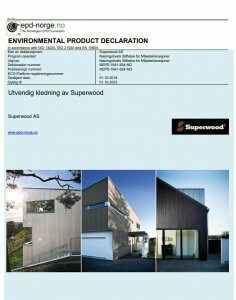 Superwood mainly sells through Scandinavian timber retailers. The company is experiencing a strong increase in sales as many consumers, craftsmen and advisors have discovered the possibility of using Superwood. The environmentally-friendly tree can for instance be used as part of the construction of sustainable buildings, which are built to be e.g. DGNB-certified. – Ever since we started the company, we have implemented many environmentally friendly initiatives. We have joined the project because we wanted to do much more, but we only had a diffuse understanding of what we could and should do. – At the same time, we wanted to create much more visibility for our sustainable efforts and products through a higher degree of independent documentation. And tell our good stories, that we produce the world´s best board for facades. Superwood had already implemented many environmentally friendly initiatives before starting the project. The company uses 100% FSC-certified wood, runs completely on wind turbine energy and, in 2017, it has established a biofuel plant for process heat and heating based on woodchips and wood waste from production. The energy consumption is thus based on renewable energy sources. At the same time, Superwood has worked with CSR by supporting schools, festivals etc. with discarded wood. In addition, the company´s signs are made by the students of a school of production. – Our consultant helped us to get an overview of what good initiatives we had implemented and, especially, which opportunities exists to do even more in the future. By documenting a new Roadmap, it became very concrete and clear which steps we should take in the next years to achieve our goals, says Ole Dalsgård. – Our new Roadmap describes our goals and visions in specific areas for the period 2018-2025, including new strategies to communicate our sustainable journey. 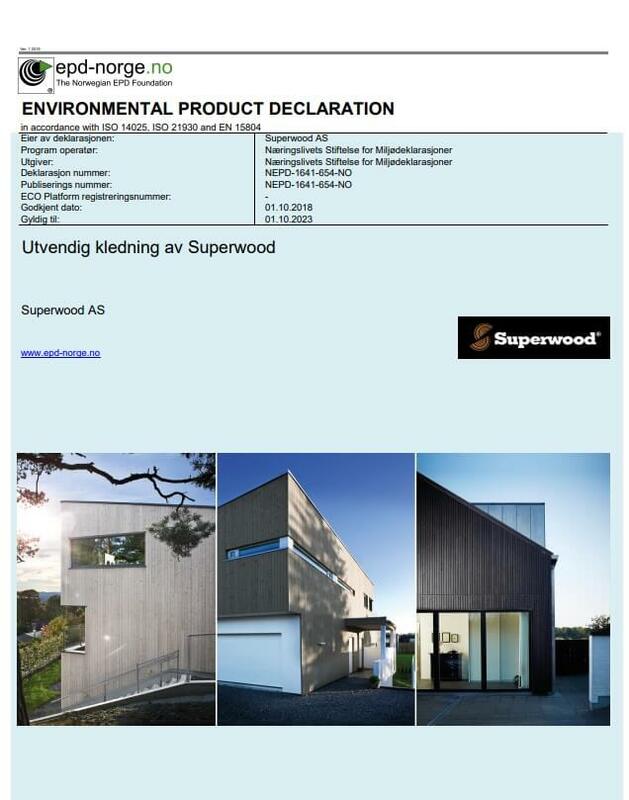 In addition, Superwood A/S wishes to obtain an EPD (Environmental Product Declaration), which is an impartial, verified environmental product declaration for construction materials. – Initially we chose to obtain an EPD, which is regarded as a good tool for selecting sustainable building materials for, e.g. sustainable buildings. – In October 2018 we obtained our first EPD, which we are very proud of. However, we want to go even further by achieving a Cradle to Cradle certification, in line with other progressive building material suppliers. Superwood is also working to reduce and in the long-term phase out the use of biocides in its impregnation, as its use has come into the spotlight in agriculture. Some scientists believe that the use of biocides creates risks of resistance to penicillin treatments. However, in this case, the biocides are encapsulated in the tree, so there is no risk associated with the use of wood from Superwood. Superwood has also developed a completely new fence solution which, in early 2019, will be offered to the Danish market e.g. through XL-Byg. The fence solution, in addition to the expected increased turnover, will reduce wood waste, as boards with faults will be shortened and used for fencing. – We previously had a rather large waste of wood because a single fault, e.g. a knot in a board meant, that the entire board had to be discarded. With our new machining line, we can now remove the defective area, so that we can still use the good part of the board. In collaboration with our architects, we have developed a new fence solution, where part of the boards used are those that would have otherwise be discarded because they are too short to be sold. Superwood is also very close to becoming CO2-neutral, as it buys wind turbine power and uses the heat from its own wood chip stoker. However, the company still uses two diesel trucks, and still consume a limited amount of oil. – We have chosen to eliminate our remaining oil consumption and to replace our diesel trucks with electric trucks. Thus, we will become 100% CO2-neutral if we exclude the emission of CO2 generated by transporting goods to and from our company, says Ole Dalsgård. Superwood wants to show its sustainable efforts, for example, by sharing more on social media. This also implies the possibility of fully or partially sharing the company’s Roadmap and thus publicly commit to implement the actions in the plan. 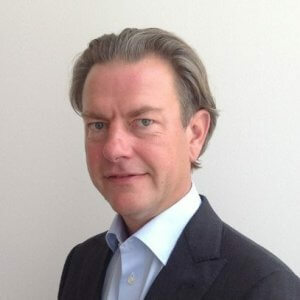 Ole Dalsgård says: – We want to be much more ambitious with our efforts and visibility. Therefore, we are considering applying for an environmental award in a few years, when we can better document our sustainability. During the project, Superwood has worked on ideas for new sustainable business models, finally choosing to develop the “Living Lab”. – With the Living Lab we want to facilitate customer’s in taking the right decision in relation to quality, design, sustainability and durability when choosing façade or fence solutions. – Through the Living Lab, they can see and assess different types of wood, impregnated or non-impregnated wood, different paints, etc. which could be used for facade and fence solutions. – In addition, with our small test houses in impregnated wood, customers can see how they change over time depending on the type of wood, impregnation, surface treatment, painting etc. – We also plan to give advisors and builders the opportunity to build a model – a mock-up – of their façade solution, so they can concretely see and evaluate the intended solution. – We are experiencing a steady growth these years and we expect further growth as a result of our new initiatives and better communication on sustainability, says Ole Dalsgård. – Throughout the project, we have become much sharper in our efforts and have got a really good starting point for communicating our sustainability. – We are really satisfied about the good cooperation with our consultant Anders Chr. Haahr from Milestone Pro – he was able to meet our ambitions by providing concrete inspiration and directing our efforts. We have therefore decided to continue cooperating with him to realize our goals and plans, concludes Ole Dalsgård. 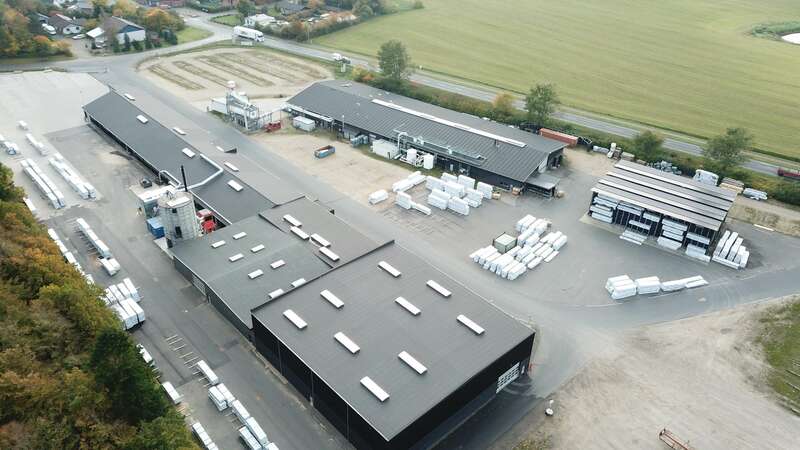 Region Midtjylland project Focused Value Chain Collaboration – Design for optimal resource utilization is a 3-year project started with the first round, lasting approximately 12 months, in 2017-2018. Project leader and coordinator is Lifestyle & Design Cluster, www.ldcluster.com. The project is funded by EU Regional funds and Region Midtjylland. The project has given the participating companies knowledge on circular economy, Cradle to Cradle and collaboration models. With this background, solutions have been developed focusing on extending the life of products, reducing harmful environmental impacts, minimizing waste and cooperation across the value chain. Every company in the project has been helped to develop a new green business model.